Orlando’s theme parks are entertaining, but they can also be loud, crowded and exhausting. 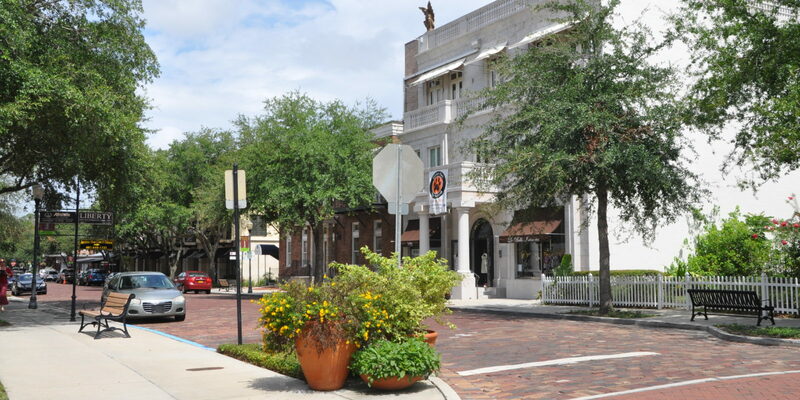 Luckily, there’s a friendly, grown-up alternative just outside Florida’s capital of fun — the city of Winter Park, where you can soak up historic ambience with a modern twist. I’ve spent many a day (and night) experiencing the thrills and nostalgia of Orlando’s theme parks — where, despite being single and childless, princesses and wizards still manage to charm me. But recently, I decided to take a break from the long lines and dizzying rides to relax, Old Florida-style. My destination: Winter Park, a historic city on Lake Osceola just 10 minutes from downtown Orlando that has drawn sun-seekers for more than a century. It’s home to not only the wonderful Morse Museum, but also to boutiques, wine bars, craft breweries and great restaurants. Essentially, it’s a non-theme park for grown-ups. See what shines inside the Morse Museum. 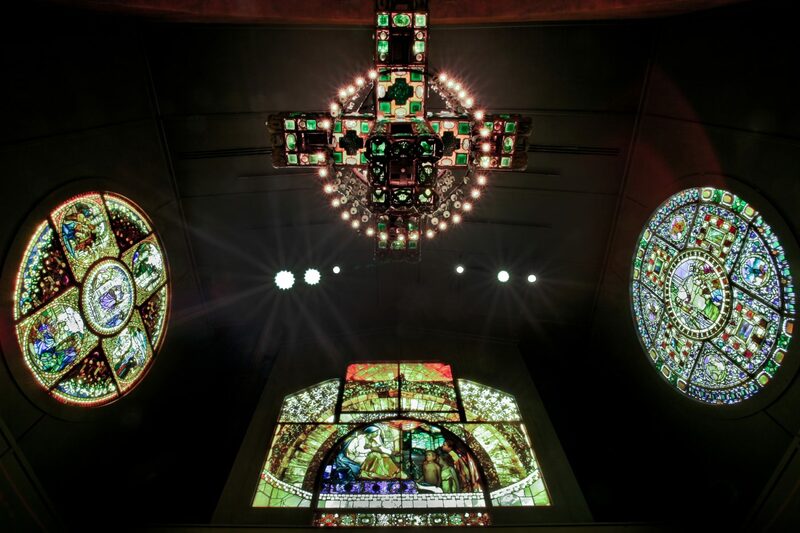 Fun fact: The largest Tiffany glass collection in the world is in Winter Park at the Charles Hosmer Morse Museum of American Art. To be honest, I was never a huge fan of the intricate late-19th and early-20th-century glass designs of Louis Comfort Tiffany — I’m more a midcentury modern kind of girl — but a visit here just about made me an Art Deco convert. The museum has an entire 12,000-square-foot Tiffany wing that houses treasured lamps, vases, figurines and furniture. You can marvel at the stunning Daffodil Terrace from Tiffany’s former Laurelton Hall mansion on Long Island, NY, and 250 decorative objects from the estate. There are also six leaded-glass wisteria transoms and a series of leaded-glass panels depicting the four seasons — each from a single window in the Tiffany exhibit at the 1900 Exposition Universelle in Paris. Need some souvenirs? The Museum Shop at the Morse Museum has jewelry, art glass, scarves, books and stationery that make great gifts for friends and relatives. Sightsee by boat or shop on Park Avenue. Back in the sunshine, I waved to a passing 18-passenger boat on Lake Osceola. 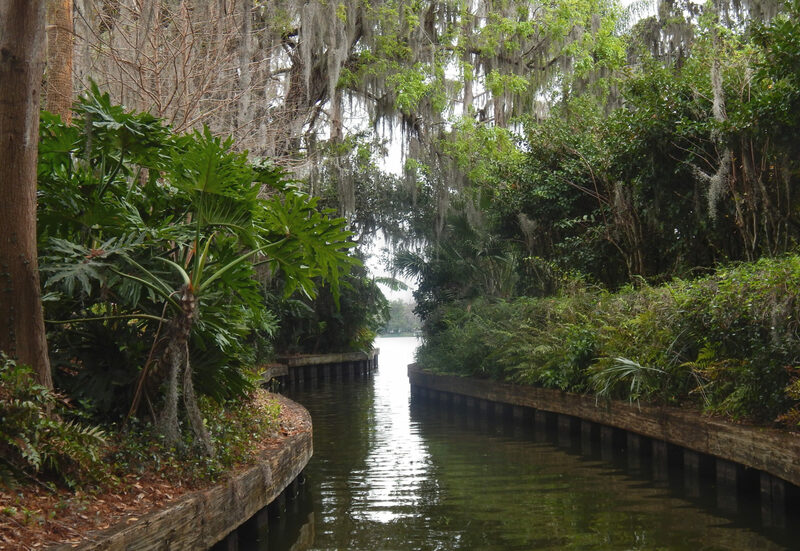 Winter Park’s Scenic Boat Tours offer an old-school way of seeing the city’s interconnected lakes and canals. The boats depart on the hour every day from 10 a.m. to 4 p.m., as they have for the past 80 years. I’d vowed not to go on any sort of “rides” on my day away from the theme parks, so I set off to enjoy some retail therapy instead. Park Avenue is the city’s center of commerce. You’ll find a mix of national retailers — like Lilly Pulitzer, Restoration Hardware and L’Occitane — and locally owned clothing and accessories boutiques — like Siegel’s Clothing Co., Tuni and Violet Clover. I strolled the length of Park Avenue, enjoying views of the 11-acre Central Park across the street until shop windows lured me inside. In between stores, I checked out the menus of several bars and eateries to decide which liquid refreshment would quench my thirst as afternoon segued to evening. Fuel up at a wine bar or craft brewery. The big decision of the night was whether to head to a wine bar or a craft brewery. 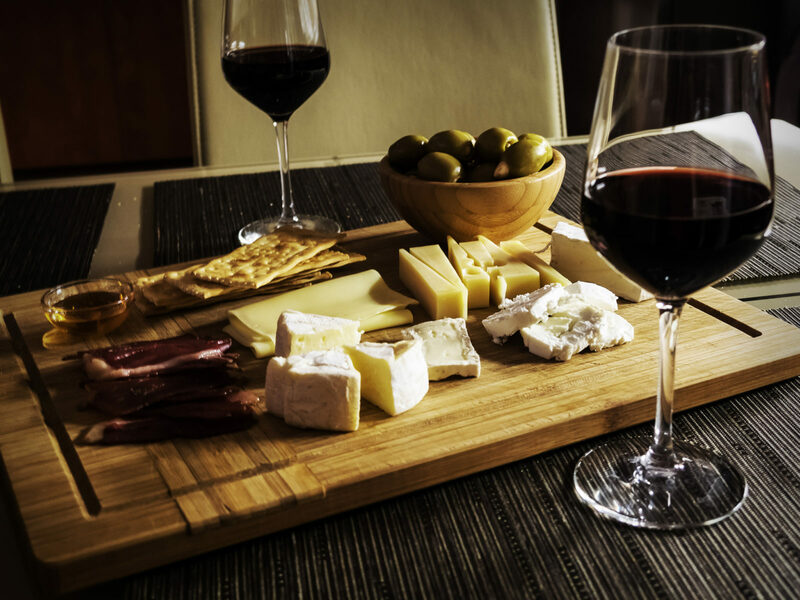 Ultimately, wine won — I’ve always enjoyed a good cabernet, and a wine bar seemed like a perfect spot to enjoy a glass of vino by myself. After sitting at one of The Wine Room’s outdoor tables, I ordered an Argentine malbec and an artisan cheese plate made up of Italian gorgonzola, French Comté St. Antoine and Spanish Drunken Goat. I was in my element, enjoying tastes of four different countries and the Florida sunshine, in a setting far more laidback than Epcot’s World Showcase. The wine, cheese and warmth had me ready for a nap. But I decided to check out a few brewery options for the next time I visit Winter Park — after all, I do occasionally get the craving for an ice-cold beer. The Parkview is a food-oriented spot, where a menu of small bites, flat breads, salads, sandwiches and heartier entrees complements the rotating list of draft beers and beer flights (not to mention a large selection of wines by the glass). But Winter Park’s most famous restaurant is The Ravenous Pig, an 11-year-old gastropub with a sustainable menu focused on fresh, seasonal, locally sourced foods and Cask & Larder craft beers brewed on site. It’s located a few blocks off of Park Avenue on West Fairbanks Avenue. As I reflected on my day trip, I realized that, even without the roller coasters and castles, discovering Winter Park as an adult was about just as exciting as meeting Snow White when I was a kid.